If it has to be red this Christmas then look no further. 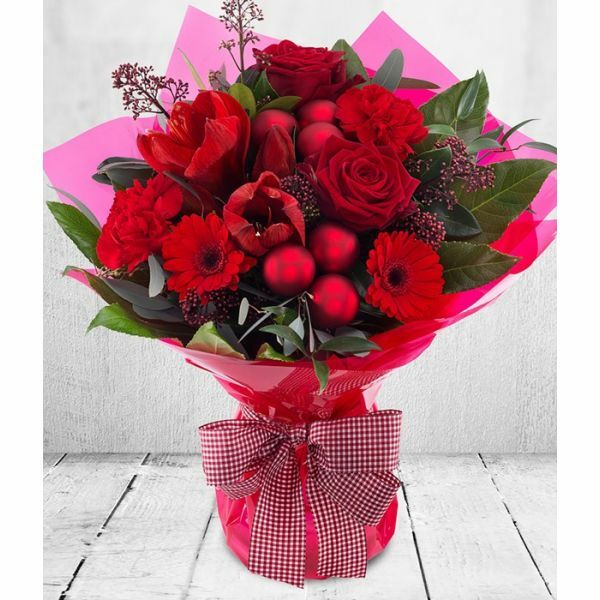 Roses, Germini and Carnations with baubles and bows create this gloriously bright red Aqua-pack Bouquet. It's quite simply the perfect Christmas gift.